Ask for further couples testimonials, we’ll be happy to share them with you! I am so grateful to have found Si Wedding and Silvia. She made the entire destination wedding process so easy for us. From the very beginning Silvia was very informative, answered all of my questions, and responded to my emails right away. 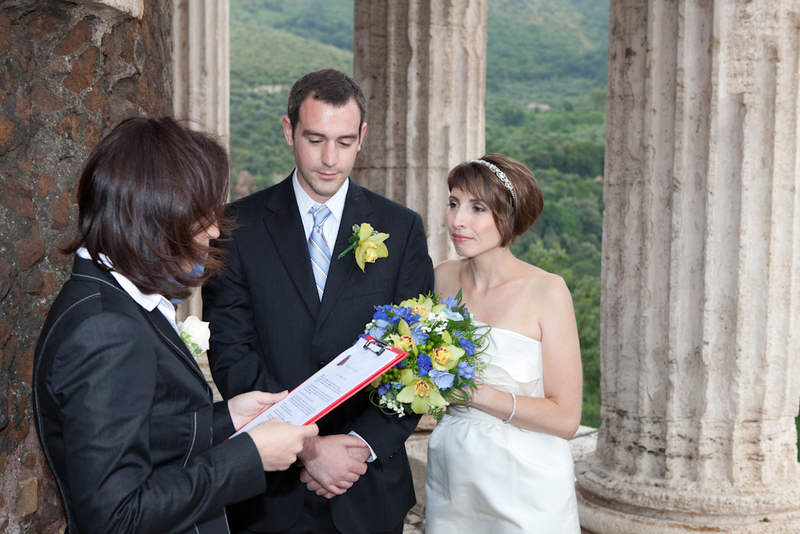 I was in a unique position, and Silvia went above and beyond to ensure we had the right paperwork to get married in Italy. Si Wedding took care of every detail. 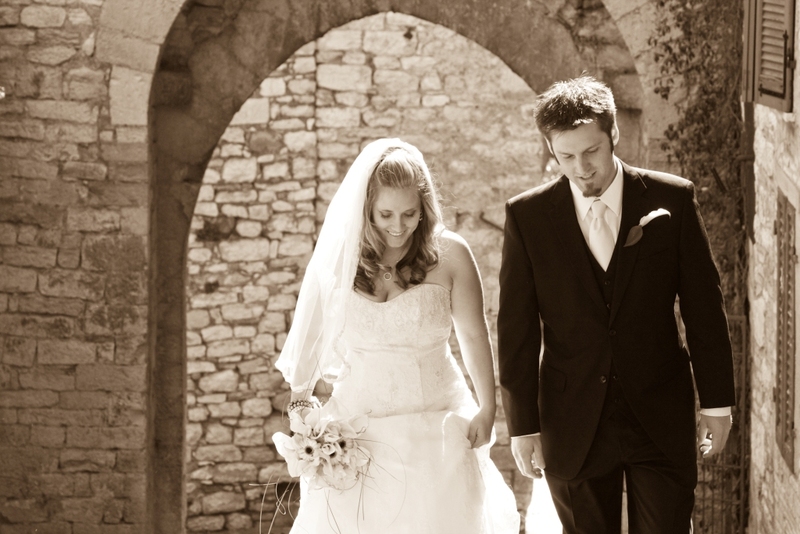 It was also so helpful to have a wedding planner that works with excellent vendors. She recommended a wonder photographer and car service. The Si Wedding staff and everyone we worked with was so incredibly nice and genuinely kind. Our wedding day was everything I had hoped for an more! It was just as I had envisioned, easy and stress free. I highly recommend Si Wedding. My husband and I were married in July 2015 thanks to Silvia’s diligent and amazing planning. 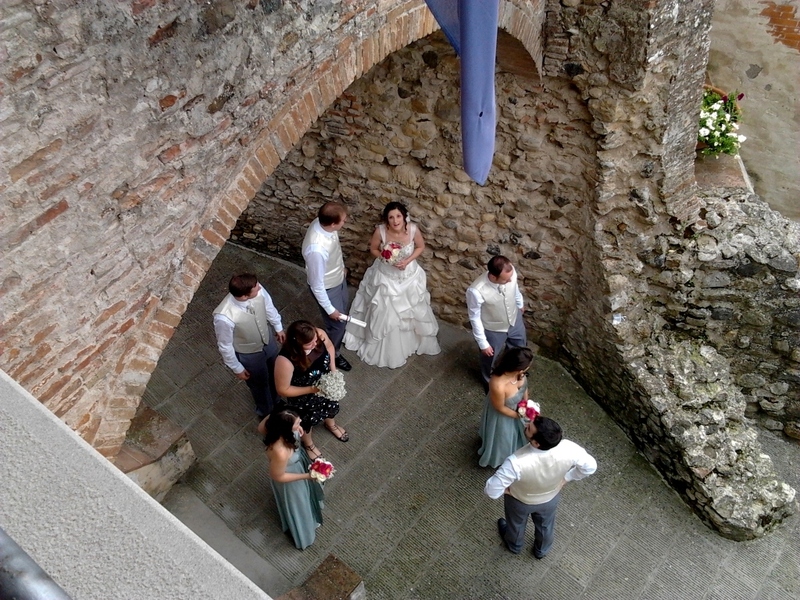 We came from the US to get married in Perugia, Italy and truly had our dream wedding. She took care of every single detail and made sure that we were happy every step of the way. 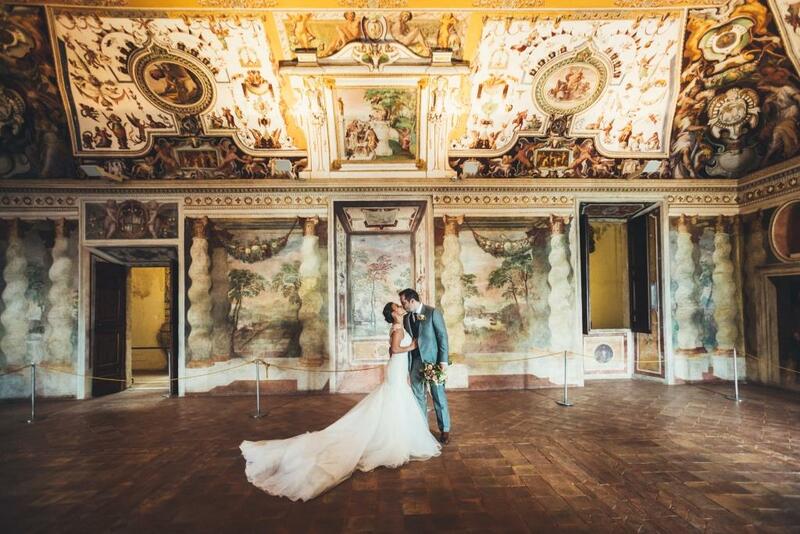 From location to pictures (thanks to Matteo Gagliardoni) we didn’t have a worry in the world on our wedding day. I cannot say enough about her know-how and skills as a wedding planner; both the process of organizing and the day of were absolutely perfect thanks to her! we just wanted to send you some pictures from our wedding! We were so happy to get our pictures from Angelo and we think they really reflect how happy we were on our wedding day. I also wanted to thank you so much for all your help and for organizing our wedding. It was the perfect day and we were so happy and surprised that every detail fell into place. It was such a relief to not have to worry about the organization of our wedding day and to be able to truly live in the moment and enjoy every glorious moment. We were so very impressed with how easy you made the whole wedding process, from selecting the hall to getting the paperwork, right down to toasting our newly wedding state. 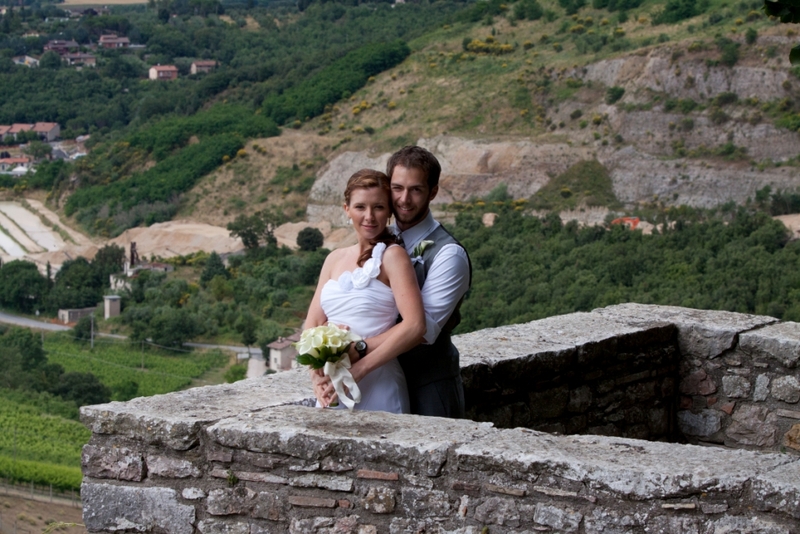 We are so happy we chose to get married in Certaldo and we are so happy we chose you as our wedding planner! I have already recommended you to my co-workers and I’m busy trying to convince all of my single friends to get married in Tuscany someday! Thank you again for the amazing wedding day! We will always remember you and smile when we think of our wedding. Best regards from Canada! Camille and I would like to thank you for all your help and support. We couldn’t have done it without you. We appreciated all that you did for us. 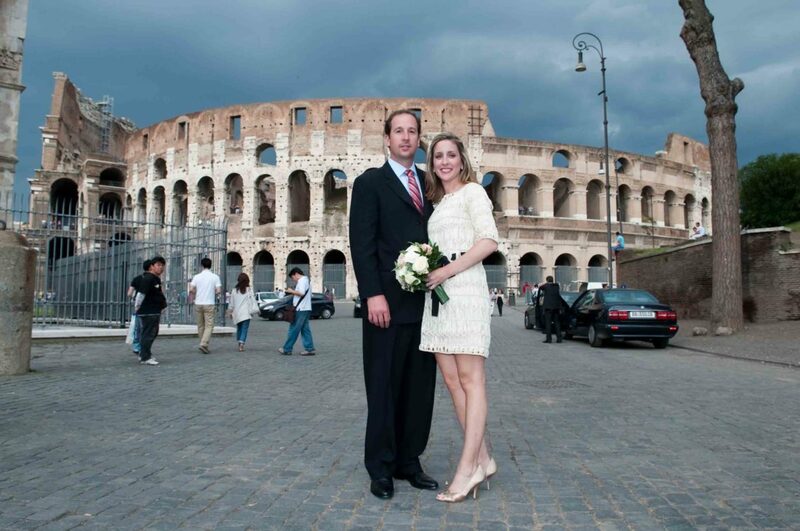 Patricia and I would like to thank you for assisting us with our wedding in Florence, Italy on July 25th, 2013. 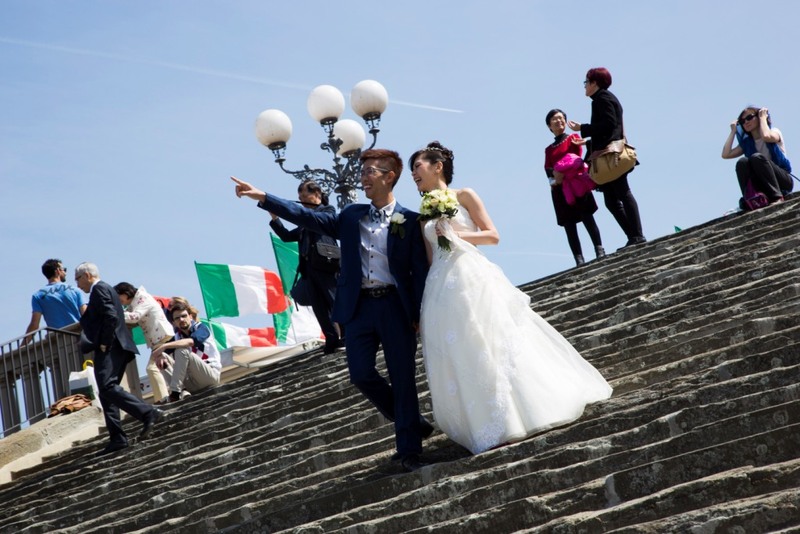 Planning a wedding in another country can be very nerve-racking. All of your hard work in the process gave us confidence in your capability to arrange such an event. As a result, we had the most beautiful wedding that anyone could have imagined. There is not enough room on this paper to tell you how much we appreciate you. 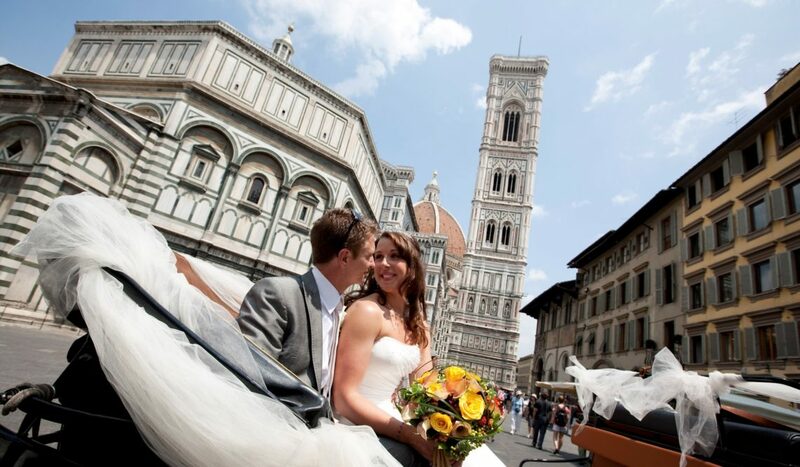 We are leaving Florence tomorrow and we would like to thank you again for your assistance in planning our wedding. Your professionalism and attention to detail from the planning stage to the big day is greatly appreciated. We would also like to express our sincere thank you to the rest of the team, Diana, Sandra and Giuseppe. 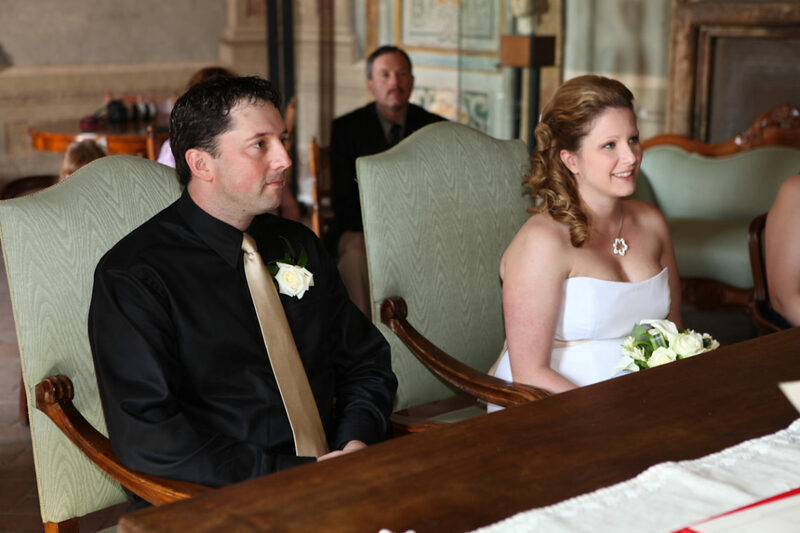 We have no hesitation to recommend your service to anyone who is thinking their wedding in Italy. We have just returned from a fabulous few weeks in Sorrento and Rome – a perfect to end to the most truly amazing weekend! We hope enjoyed the day as much as we did – we still haven’t stopped smiling! My parents and friends also had the best time. Thank you once again for all your help and support. I will be sure to comment on your facebook page! Once again, many many thanks and please stay in touch! 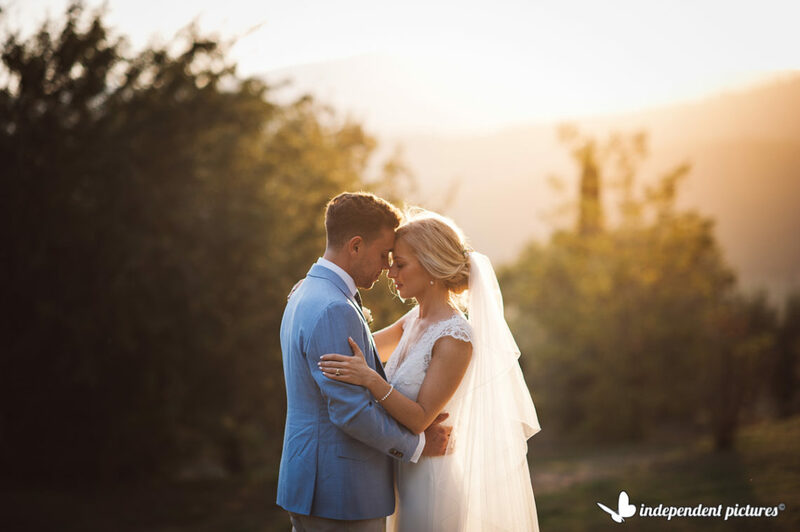 “My husband and I got married at a beautiful Farmhouse just outside Firenze. It was the most wonderful and special time we could ever have imagined and Silvia assisted us from start to finish. Planning a wedding in another country could have been very challenging but with Silvia’s in providing us with wedding and accommodation venues (within budget), visiting the venue on our behalf and taking pictures, and the numerous emails and telephone calls, it was a real pleasure and a lot of fun! Also, the photographer that Silvia works with, Giuseppe Laiolo, was amazing and so professional! The photos were brilliant! 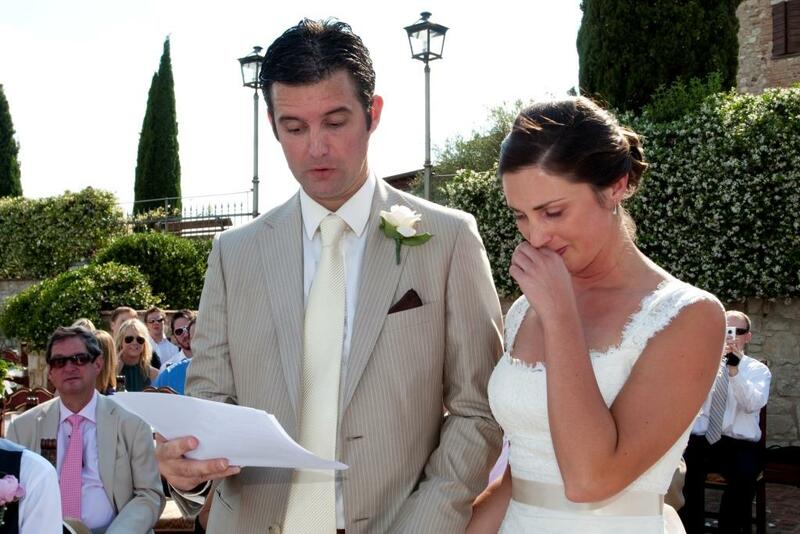 We also found Silvia’s price to be very reasonable considering the amount of time spent in arranging our wedding. We would like to thank Silvia for making our wedding so special. 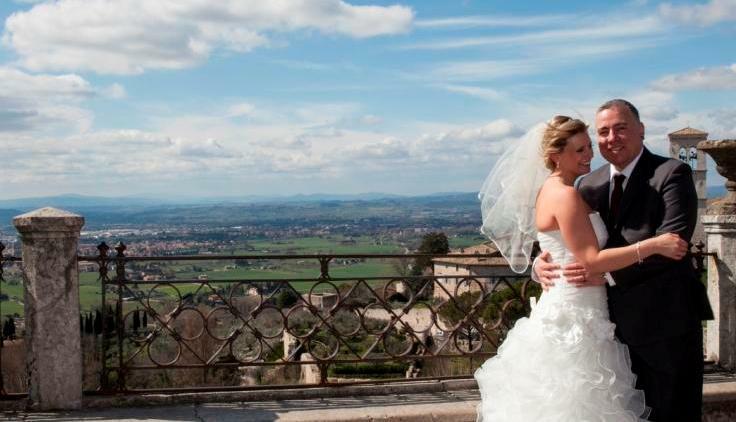 We would to reccomend you to anyone wanting to marry in Italy! 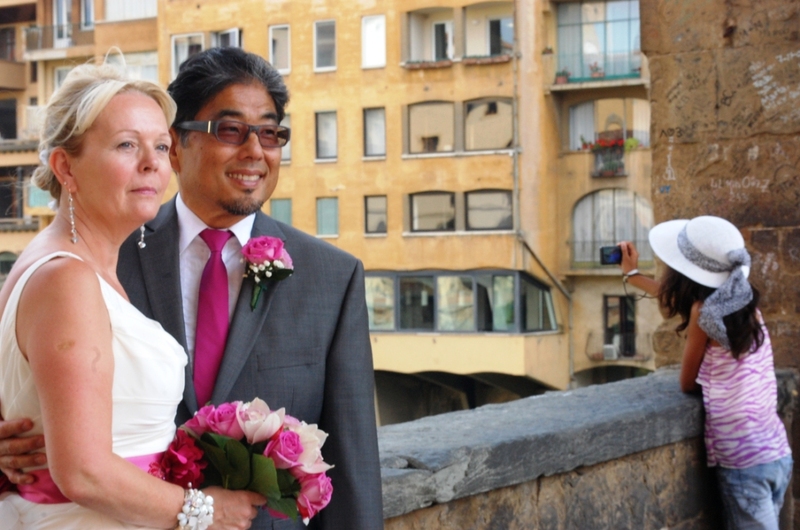 Ciao and grazie!” Roxanne & Marlan – Cape Town, South Africa. We hope you are well? We just wanted to drop you a quick email to thanks you again for our amazing wedding which you put on for us a year ago on 1st June. We can’t believe the first year has past and all our friends and family all wish that we were out there again this year for another unforgettable time. Everyone who was there said it by far the best wedding they have ever been too and we thing so too!!! Thanks again. 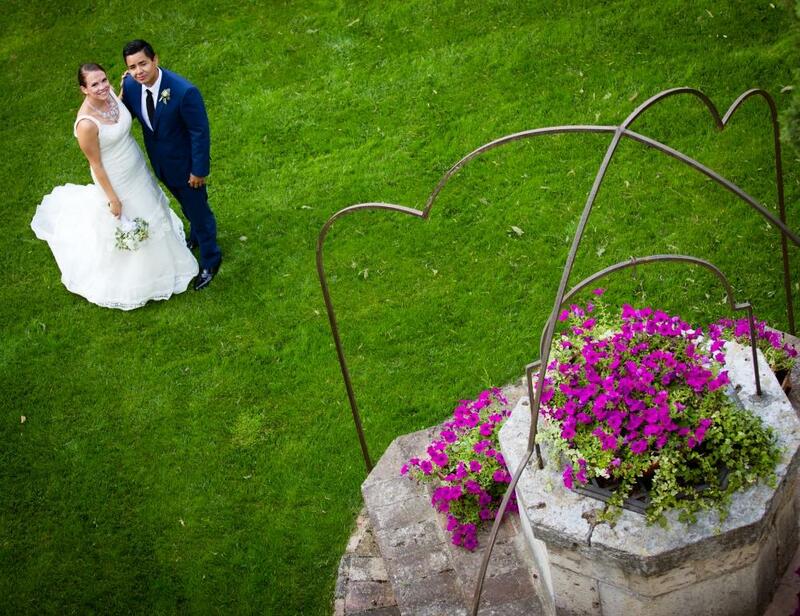 By the way the photos on your website from our wedding look fantastic!! I would like to thank you for making David and Brenda’s wedding a complete success. You were absolutely wonderful from start to finish. The location you choose for the ceremony was beyond their dreams and the coordinator and the photographer were both professional and lovely people. Your services are worth every penny and I wish you great success. As a professional wedding planner myself, I appreciate the hard work and attention to detail that your company provided. Thank you. 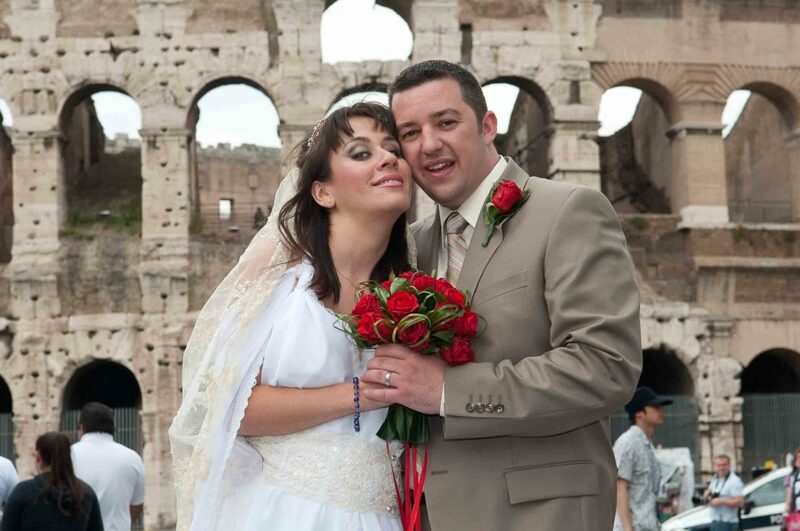 I would be very happy to recommend your services to anyone planning a wedding in Rome. You are wonderful! thank you for planning and sharing our special day. 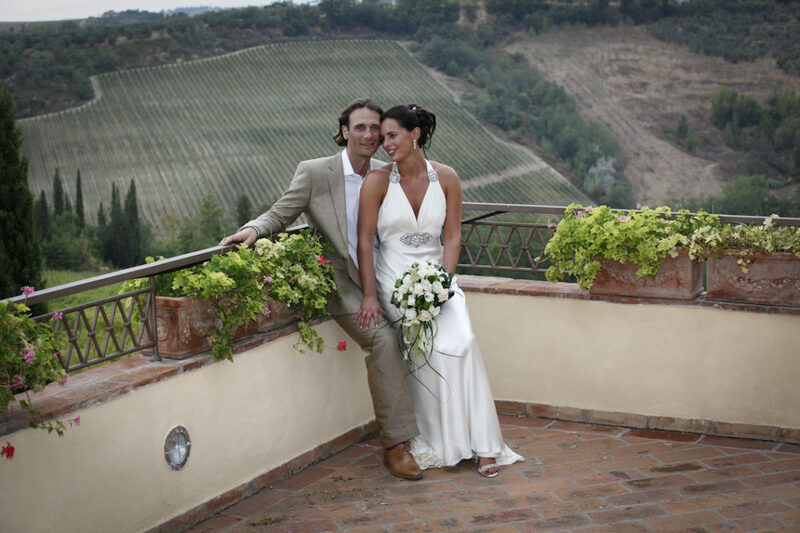 We had a wonderful time and have some beautiful memories..We would certainly recommend “Siweddings in Italy”. Very best wishes and happy wedding planning. Ciao! Karen and I are doing really well, we are having a civil ceremony tomorrow in Canada. We have been quite busy. 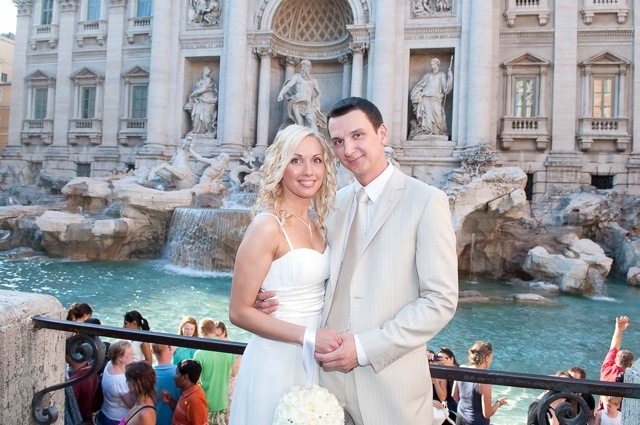 We would like to thank you and your colleague for all the help for our wedding in Rome. It was quite romantic and just what we were looking for, nice and relaxed. I will be sure to write about what a great service you provided us on tripadvisor once we get settled down. 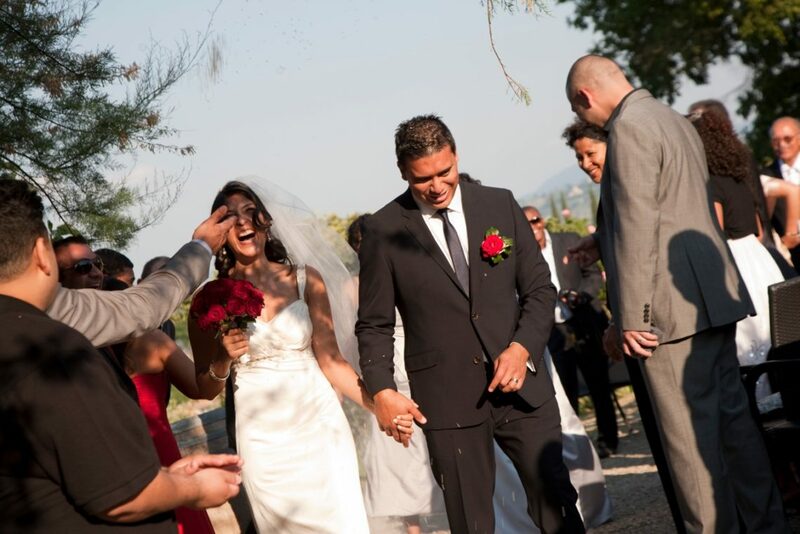 “The location was absolutely beautiful and our ceremony was wonderful. 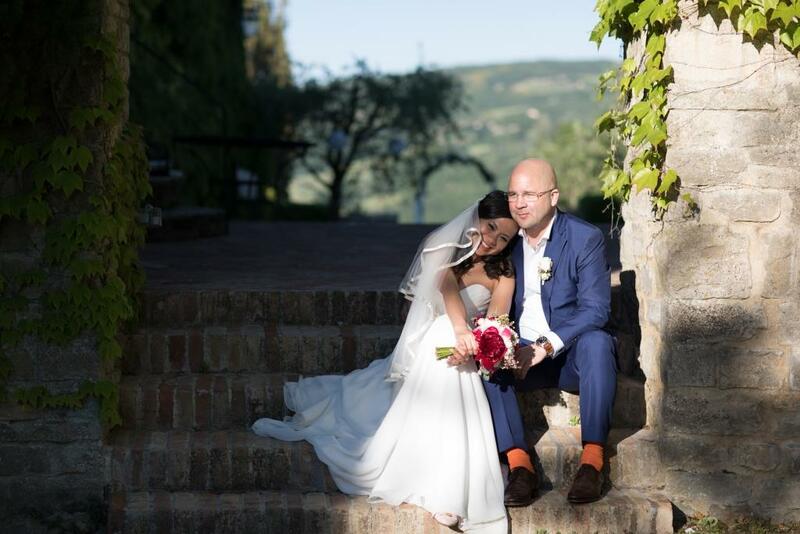 “its was greatest day in my life and I want to say many thanks for dear Silvia Todini who organaised our wedding! She is amazing! All services were be in a high classes. She was being with me all time when I needed her, all time when we prepared our big day! So wedding goes without any problem and with maximum pleaser for us and for our guests. In the wedding day Silvia was thinking about all and we had fun!) Also I want say thanks to our florist who made wonderfull table and Silvia’s dauther who returned from Belgique to help. Exepsional I want to say about great prepared documents. We legalise it in Russia very simply and fast. Thank you for all!!! ” Lebedeva Annafor your Russian Sposas)) -“Это был самый лучший день в моей жизни и я хочу выразить свою огромную благодарность нашему организатору Сильвии Тодини! Она очень нам помогла! Все сервисы работали по высшему классу: банкет, флорист, документы, музыка итд. Она была на связи в любое время, и всегда была готова помочь. На свадьбе мы с мужем просто наслаждались и не думали ни о чем, всем занималась Сильвия. Это очень здорово и мы смогли действительно с удовольствием провести время! Хочется сказать отдельное спасибо нашему флористу – декор был просто замечательный! Также хочется отметить, что Сильвия подготовила для нас все документы и в России мы быстро и легко поставили штампы в русские паспорта без каких либо проблем! Итальянское свидетельство о браке везде принимают! Thank you so much for last week. We had a great day and everybody commented on how lovely everything had been. I look forward to receiving the marriage documents. I have attached some photos! Thanks again for all your hard work, please let me know if I need to do anything else! 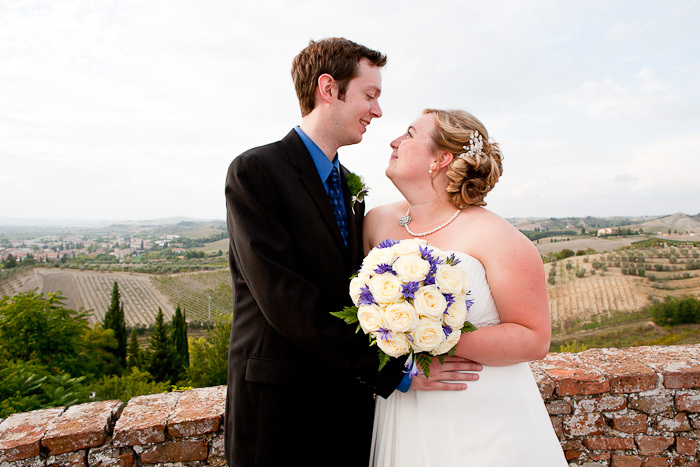 My husband and I got married in Assisi in march 2013 and found Silvia through an online search about 6 months before. Silvia made the whole process trouble free and helped us every step of the way from sorting out the paper work to finding a perfect photographer for our special day. We even had a bottle of prosecco after the ceremony! 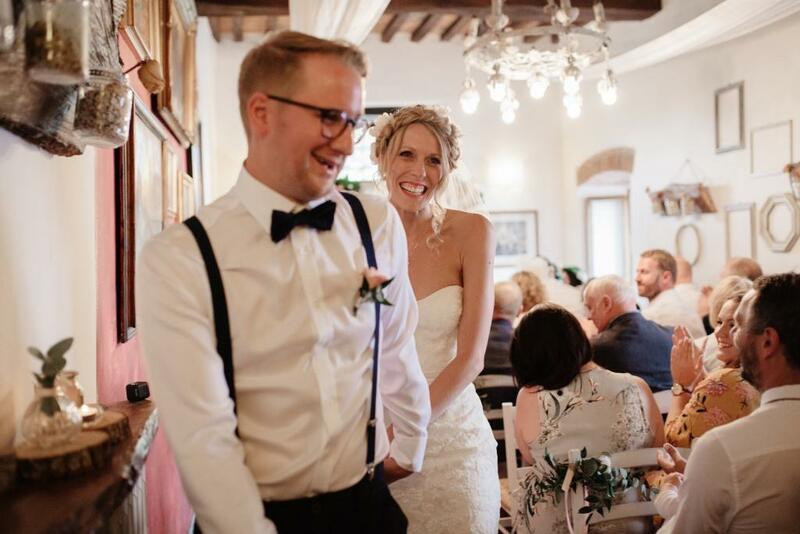 Everything about our day was perfect and can not thank Silvia enough for everything that she did for us, we would highly recommend her services to anyone thinking about getting married in Italy! My husband and I will be returning in march next year for our anniversary and we can’t wait to meet up with Silvia again, and see a lot of friendly faces as the locals are all amazing and so friendly! This really was a day that we will never forget and feel truly blessed that we were able to have such an amazing experience and Silvia will always be a part of that. Thank you again for all of your hard work and for going that extra mile to ensure that we had a wonderful day.